Approximately 0-3, 3-6 & 6-12 months. 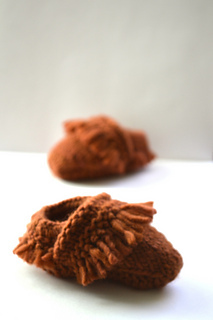 Fashioned after the popular infant and toddler slip-on, soft-soled shoes, this time as a knit moccasin. 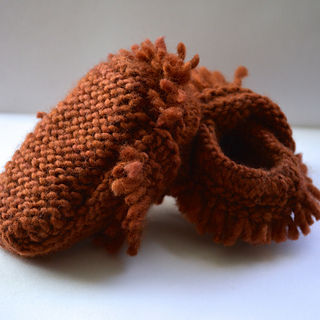 These mini mocs come together quickly – there is almost no seaming and they are worked in worsted weight yarn (YAY!). Both adorable and practical, this is the perfect gift for the cherished babe in your life.